Beach Boy Dennis Wilson døde i 1983, i en drukningsulykke i Venice Beach i Los Angeles. Seks år tidligere hadde Wilson sluppet plata »Pacific Ocean Blue«, som med årene har blitt et ettertraktet samlerobjekt og en sertifiert rocksnobb-plate. 13. mai slipper SonyBMG en såkalt Legacy-utgave av plata, som dobbeldisc. Working with a few trusted collaborators including Daryl Dragon (the 'Captain' of The Captain & Tennille) and Manson-era confederate Gregg Jakobson, Dennis managed to pull together a critically acclaimed solo album, Pacific Ocean Blue which was released in 1977. The album matched the contemporaneous Beach Boys band album Love You in sales. 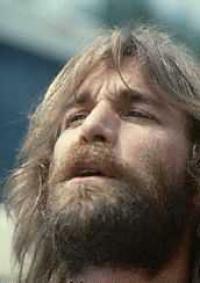 A planned 1977 Dennis Wilson solo tour was canceled possibly due to internal politics in the band. Dennis himself panned the album, claiming it had no substance, and looked forward to the release of Bamboo. Many of the albums tracks incorporate his unique piano style, which he continued to develop until his death in 1983. Pacific Ocean Blue has been out-of-print and unobtainable for more than a decade, except as a pricey collectors item or bootleg.